Good Chemical Science & Technology Co., Ltd.
We are one of the biggest adhesive manufacturers in China. Shoe adhesive, lamination adhesive, pu adhesive, spray adhesive and water based adhesive are our main products. We are looking forward to the cooperation with customers from all over the world. non toxic water based spray glue for bonding foam, sponge and non woven to make mattress and upholstery. 4.Superior before and after sales service Guangdong Good Resin Technology Co., Ltd.(Orginal named GOOD Chemical Science & Technology Co. Ltd.,) is the largest enterprise specializing in producing adhesive and electroplating material in China.The annual output of the GOOD adhesive is 100,000 tons.The adhesive product is composed of more than 100 varieties, including Water-based PU adhesive, the benzene-toluene-xylene free PU adhesive, Chloroprene adhesive, Grafted CR adhesive, Primer, Natural rubber glue, Spray adhesive, Lamination adhesive, Hardener, Leather chemical, cleanser etc. Our GOOD adhesive products are suitable for industry of shoes, handbags, suitcases,sofa and house decoration,etc. The electroplating materials include copper anode, high purity cupric sulphate, nickel sulphate, nickel chloride, plating additive. We have successfully attained SGS certifications of ISO9001 & ISO14001, as well as being named "Environmentally friendly company" by the Chinese government. "GOOD" is Guangdong famous trademark and the Top ten quality brand name of Chinese adhesive. GOOD Chemical Science & Technology Co. Ltd..is a branch of highnic group, locates in Industry Develop District, Sanshui, Foshan, GuangDong, China, with area of 500,000 square meters. A large high-polymer research Institute was established in 2000, introducing a complete set of advanced production line and precision testing instruments. 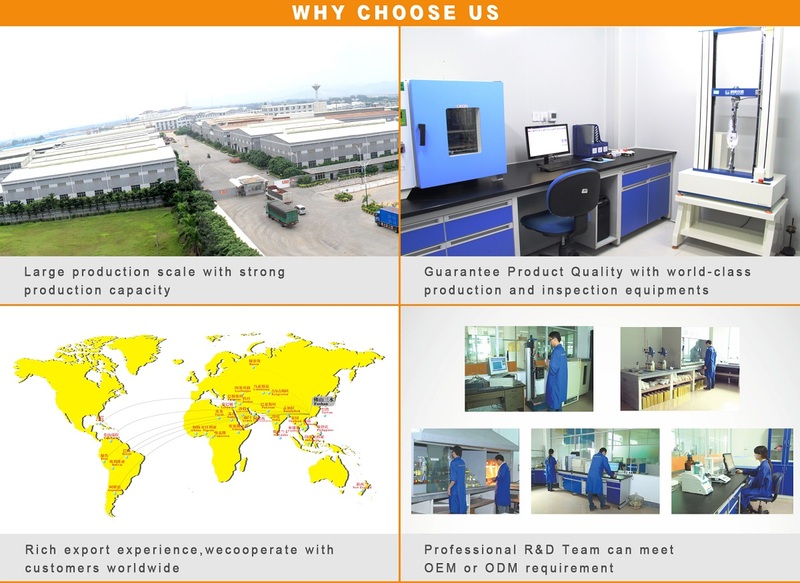 We all try our best to master the leading technology and produce the products in the best quality. On this purpose, we have built the Research & Development Centre to develop super project, introduced the advanced technologies and undertaken innovations to obtain multi-functional products.